The Sony Tablet P is entirely different in the category of Android Tablet. The tablet is equipped with 1 GHz dual-core CPU, 4GB of internal storage and Android 3.2. The tablet also has 3 G connectivity. In Uk it is available on price tag of about 499 pounds. 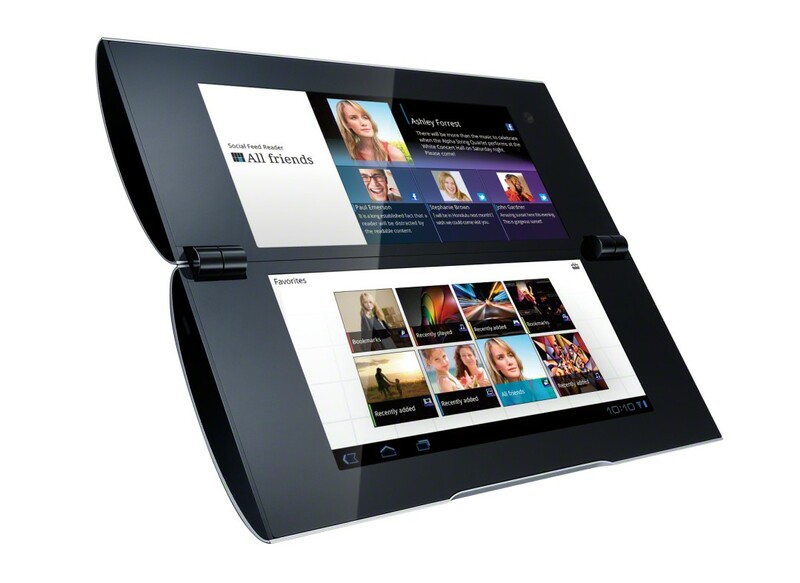 The tablet P with a clamshell design has twin displays which ensure a sense of completeness in it. Sony tablet P in design is similar to Nintendo’s 3DS console. The twin 5.5 inch touch screen makes Tablet P different from other touch screen tablets. Each screen with 1,024x480 pixels provides immense clarity and brightness. Their viewing angles are exactly very good provides detail and colour when the Tablet is working. Its music player spreads albums on the both screens. It provides a cool visual touch. Sony Tablet P movie player is located at its top screen. The Android 3.2 operating system version Honeycomb OS-version 3.2 is operable on it. However Tablet P is promised by Sony to be launched on Cream Sandwich in 2012. With a 1GHz dual-core processor on board, the Tablet P is good on working. With 4GB of on-board storage, there is a provision for a 2GB microSD card. The Tablet P has two cameras, a 5 megapixel on the outside of the case and a 640x480 pixel snapper quite inside. Image quality is quite accommodable. Camera also has an option for video recording with 720p HD the maximum resolution to shoot. Other interesting features of Tablet P are Gaming including Crash Bandicoot, Xperia Play, Minecraft and Doodlejump. It has all Wi-Fi, Bluetooth and USB connectivity. It provides options to share images, music and video with your DLNA-compatible TV, thanks to Sony's pre-loaded application. Battery life of the tablet is around 5 hours.